Contour lines have become a commonplace, unassuming companion of our cartographic outputs - GIS has made us forget their visual potential. 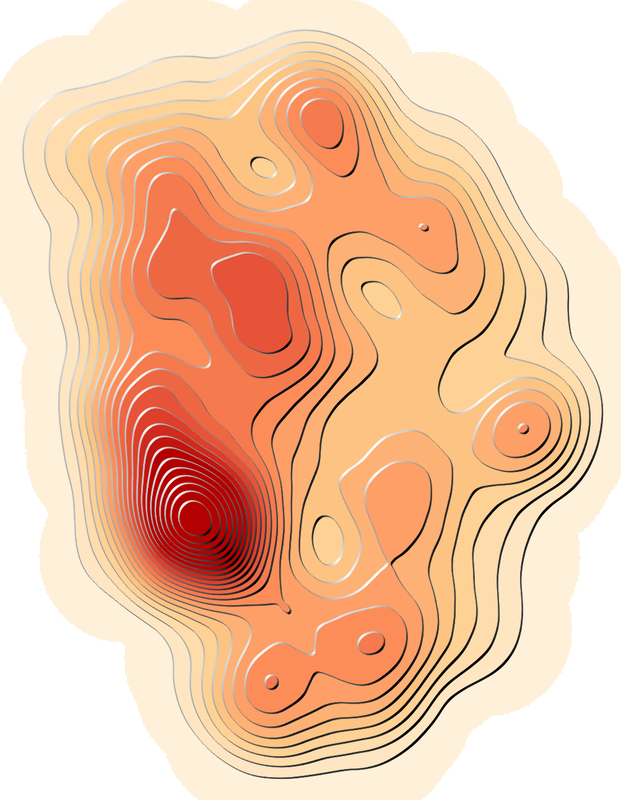 Already in the 19th century cartographers experimented with shaded contours, but the technique has become known as the Tanaka method, after Japanese cartographer Kitiro Tanaka (Kennelly 2016, wiki.gis 2017). 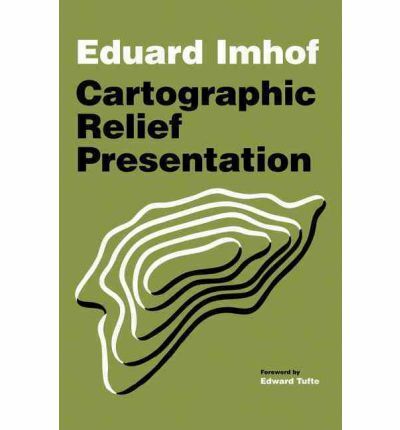 Even the cover page of Imhof’s seminal book sports a pile of shaded contours! Shaded contour thickness and colour vary according to difference between the line direction and the light source direction. Lines perpendicular to the light are thicker than those parallel to it, while lines on “sunlit” slopes should be brighter than those on slopes under shadow. 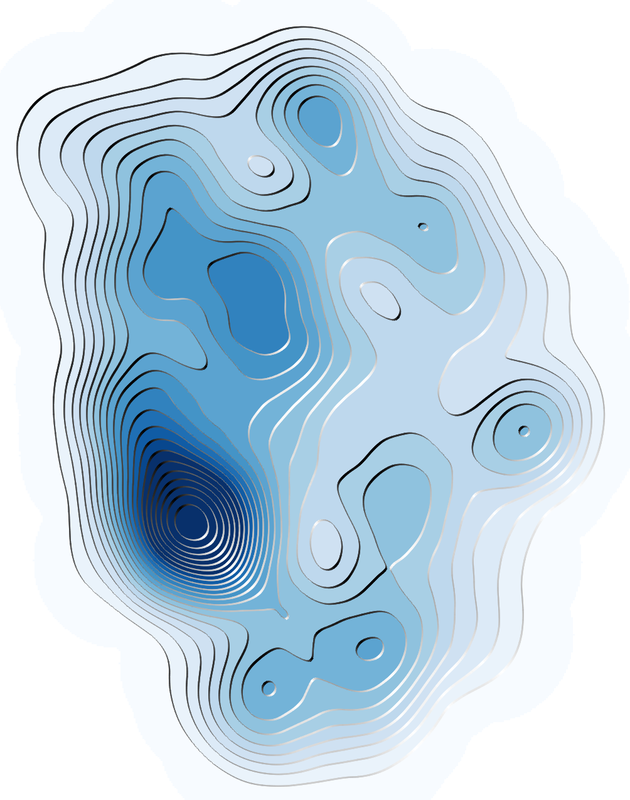 Such rendering adds the feel of the third dimension to the contoured map - without any actual 3D model. A solution for achieving this effect has already been proposed by A. Graser a couple of years ago (link below). 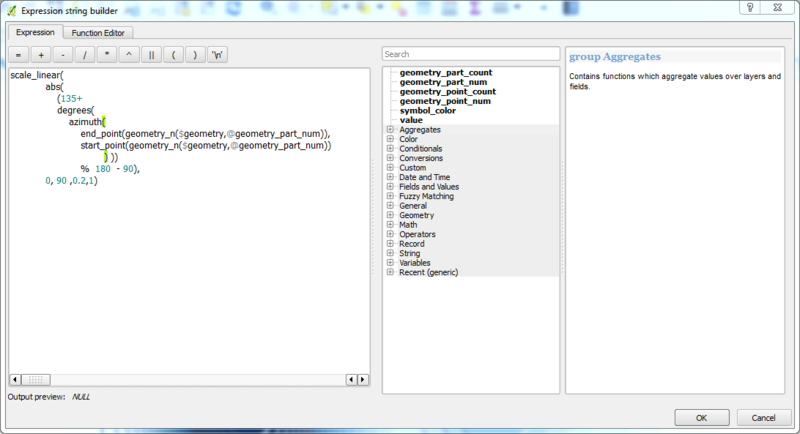 I’ve adapted the method for the newer versions of QGIS, and added a logic that permits to change light angle. The only algorithm that produces a consistent result is the one implemented in GDAL. 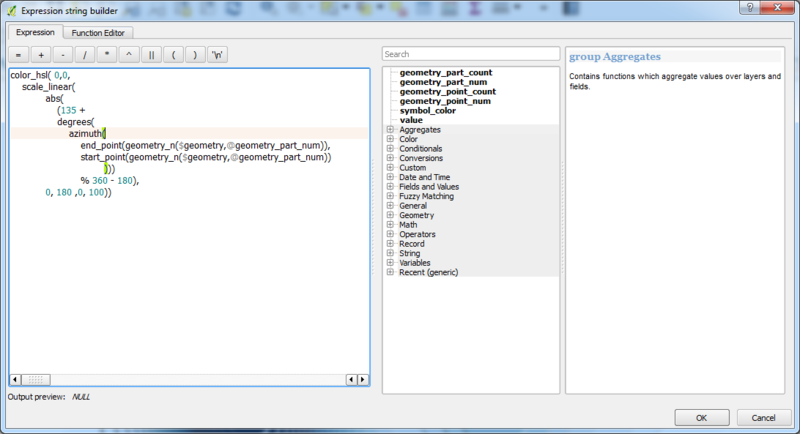 It can be accessed through QGIS main interface: go to Raster » Extraction » Contour. In fact GDAL is expressly tweaked to produce tidied contours (“Starting from version 1.7 the contour line-strings will be oriented consistently. The high side will be on the right, i.e. a line string goes clockwise around a top.” says the documentation). 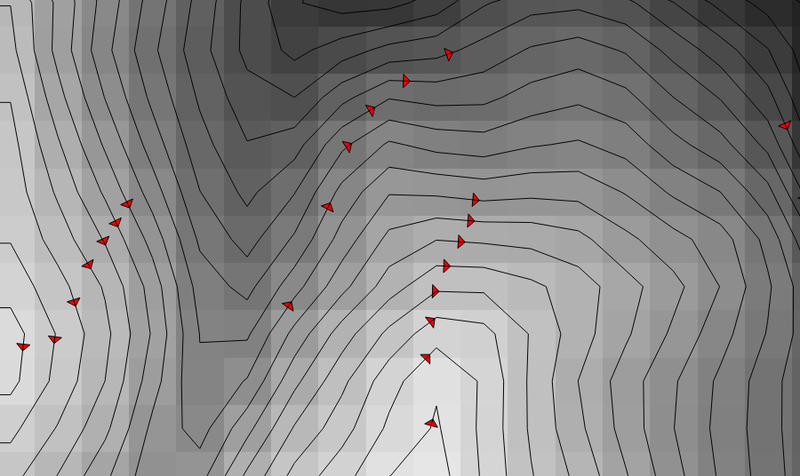 In my experience, GDAL is sometimes producing counter-clockwise contours, but they are still consistent (this might happen when all raster edges have the same value). In that case we simply readjust the lighting, as described below. The problem with rendering Tanaka lines is to apply a specific style for each line segment. Using older functions, this is feasible only with an “exploded” version of the contour file, that is, a file where all two-node components of polylines are registered as separate lines, which can then be styled individually (cf. the approach of A. Graser). 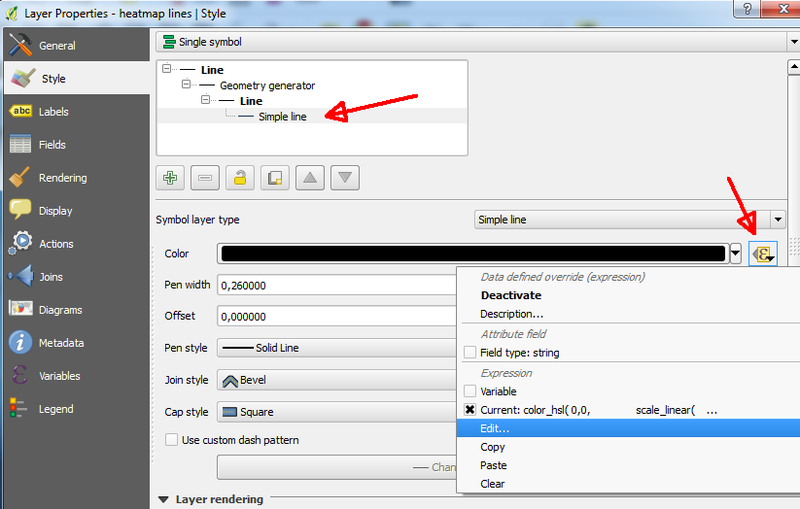 However, beginning with the version 2.14, QGIS features “on the fly” line breaking routine. This means that all we need is an expression embedded to the style definition, no more additional files with dissolved geometries. 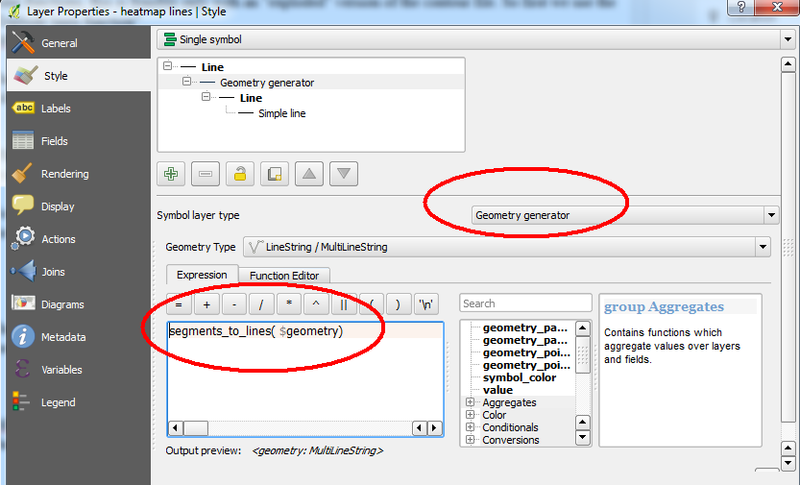 1) To break polylines down to simple (two-node) elements we use the Geometry generator as Symbol layer type and the segments_to_lines( $geometry) expression to do the splitting. 2) Now we enter our styles as an expression (choose Edit). The function is squeezing the full angle range to a smaller interval using modulo operator (%). The default light angle (0) is from the west and values for light angles are increasing counter-clockwise. To adjust the lighting, we can push the beginning of the range forward, but we cannot pull it into the negative range. 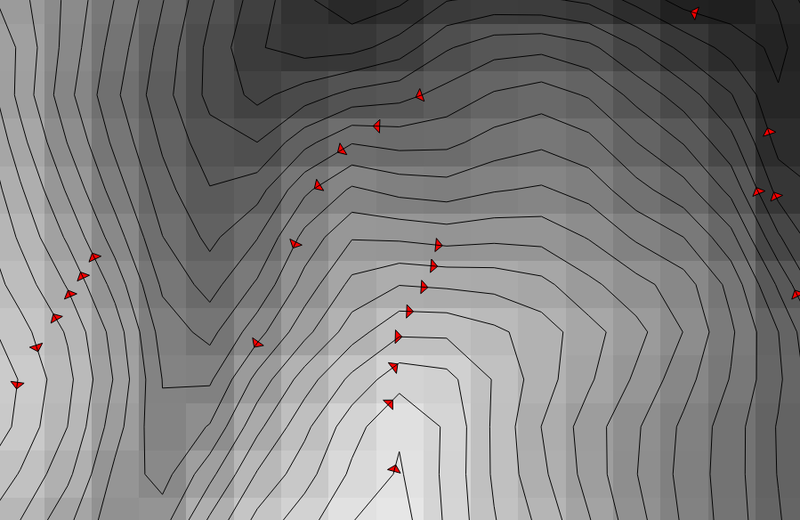 So, for the north-western lighting, on clockwise oriented contours, we set the angle to 135. To have the same effect on counter-clockwise contours, we need to push to 315. Download the style definition here. 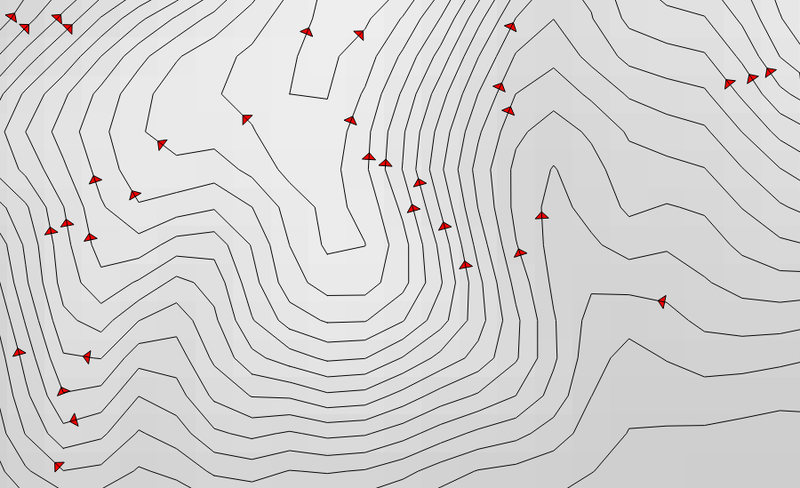 Graser 2015, How to create illuminated contours, Tanaka-style accessed at http://anitagraser.com/2015/05/24/how-to-create-illuminated-contours-tanaka-style/, December 2017.
wiki.gis 2017, Tanaka contours, accessed at http://wiki.gis.com/wiki/index.php/Tanaka_contours, December 2017.